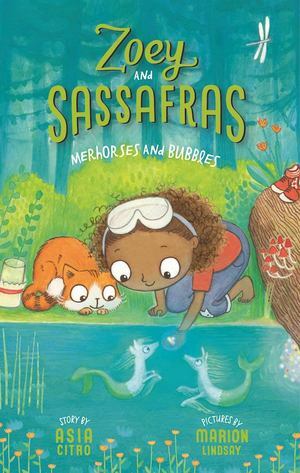 With magical animals, science, mystery, and adventure -- the brand new series Zoey and Sassafras has something for everyone! Easy-to-read language and illustrations on nearly every page make this series perfect for a wide range of ages. In the third book of this series, Zoey and Sassafras head to the stream only to make a terrible discovery. Things get even more urgent when they learn that the magical creatures living in the stream are in danger! Can Zoey and Sassafras solve the mystery of the stream and save the Merhorses?